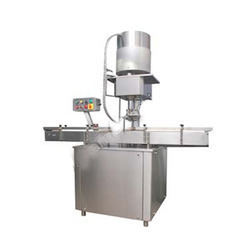 Our range of products include induction cap sealing machine, band sealing machine, vial sealing machine, ropp cap sealing machine, glass sealing machine and induction sealing machine. 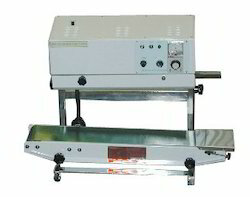 We offer best quality of Glass Sealing Machine to meet the diverse requirements of our clientele. These products are available to the clients in dissimilar specifications. Provided products are much competent and can attain high temperature. Furthermore to this, we promise premium quality and correctly checked and carefully delivered at inexpensive prices. 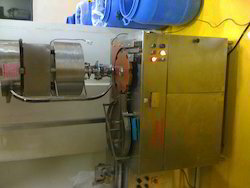 We are one of the leading manufacturers, suppliers and exporters of high grade Induction Sealing Machines. Manufactured with supreme grade of raw material and sophisticated machines, our products are in line with pre set industry parameters. 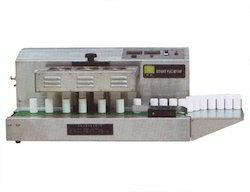 The Induction Sealing Machine basically utilizes the instant heat for various industrial purposes. 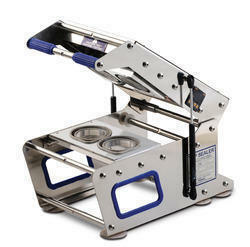 Looking for Sealing Machines ?